Trentodoc - Metodo Classico sparkling wine is a "special wine" because it follows a fascinating production process. Come and discover it with us. The oldest and most prestigious method for producing sparkling wine is based on the second fermentation in the bottle. This method has been known for over 400 years and is called Metodo Classico in Italy. Trentino, the heart of the Italian Alps, with its peaks and deep valleys, its lakes and forests and its multitude of microclimates creates the perfect environment for the grapes that are carefully selected to become Rotari’s fine sparkling wine. All of our Rotari wines carry the seal TRENTODOC. The Chardonnay and Pinot Noir grapes are harvested by hand and undergo a soft pressing, in order to release all the typical aromas of the varietal. 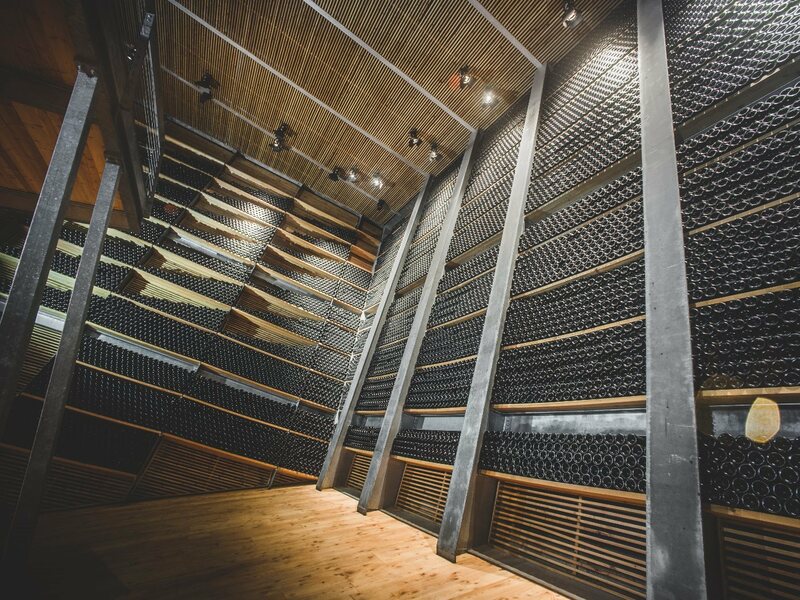 After sedimentation, the must is transferred to large steel tanks in the Rotari winery, where the first fermentation takes place at a controlled temperature (around 18°C). 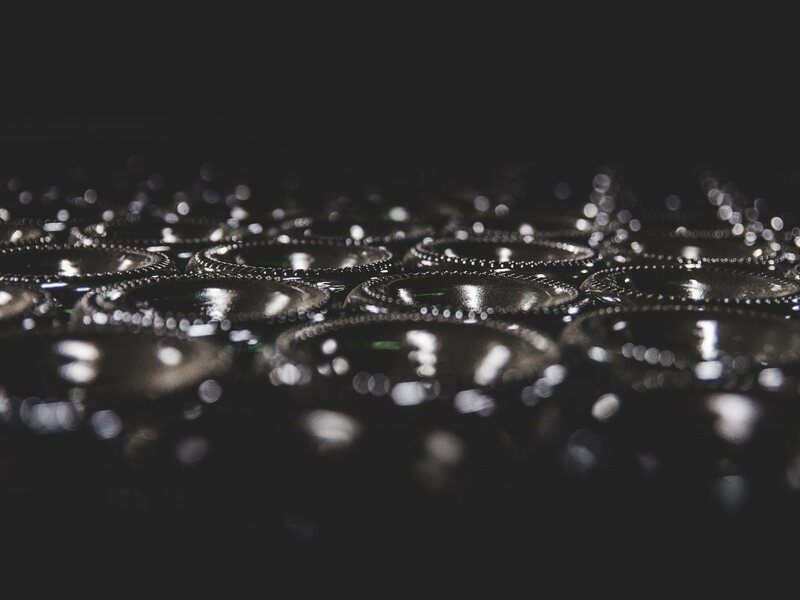 The bottles are rotated daily and gradually turned upside down to a vertical position, so that the sediment from the fermentation collects in the bottleneck. Today, mechanical technology replaces the traditional method of turning the bottles. This process, traditionally done by hand with the help of “pupitres” (wooden riddling racks), is now done by machines called “giropalletes” that move 504 bottles at once. In spring, the base wine is enriched with sugar and yeast and bottled with crown caps. The bottles are then stored in a horizontal position where the second fermentation (or “prise de mousse “) takes place. Our fine delicate mousse is obtained by ageing on the lees after secondary fermentation; this is a benchmark of our wine and makes Rotari unique. 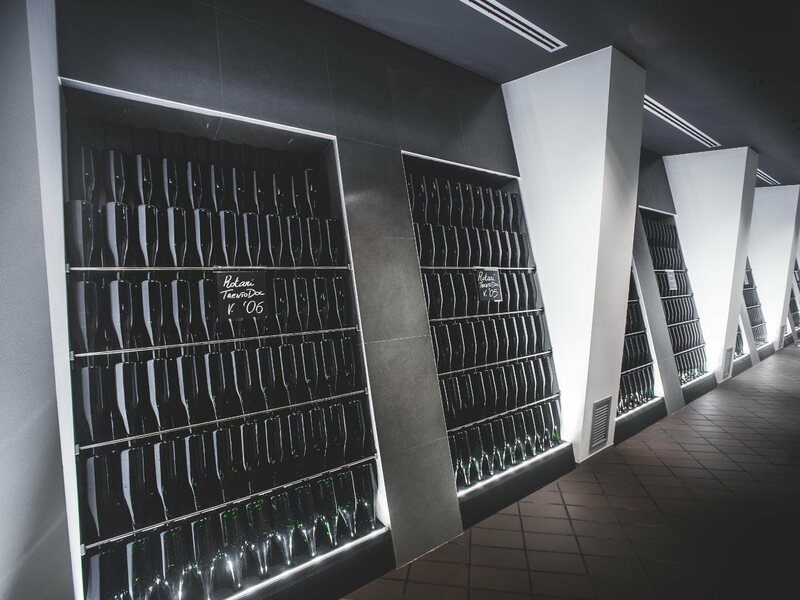 The bottles, while still in a vertical position, are inserted into a cooling solution which freezes the neck of the bottle to about -25°C to -30°C, isolating the sediment from the wine. The pressure built up inside the bottle expels the frozen sediment from the bottle when the crown cap is removed, leaving the wine crystal clear. At this point, a dose of “liqueur d’expedition”, a blend of special wines refined in barrique, is added.